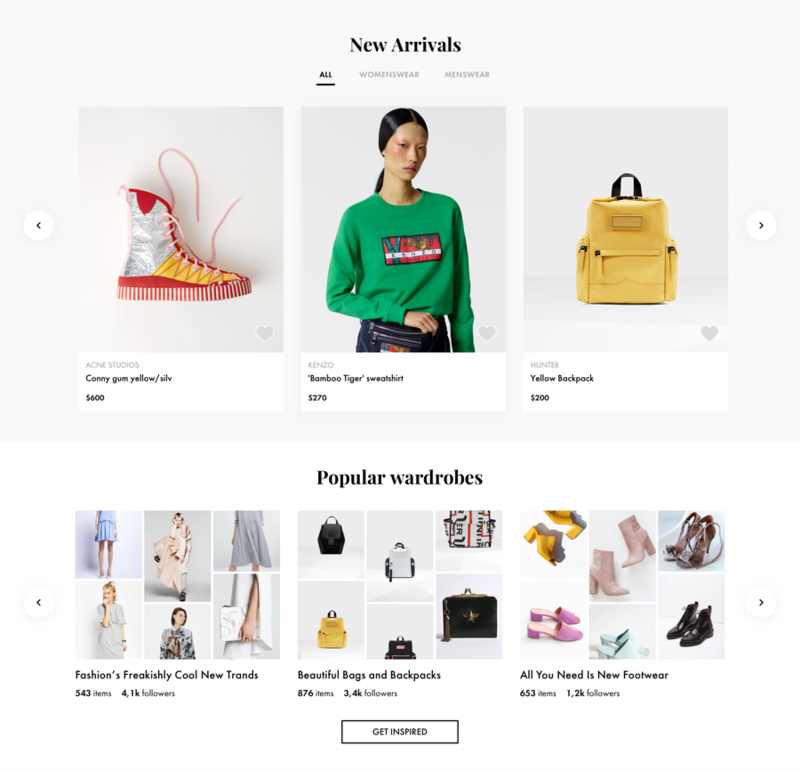 MilanStyle is a unique online shopping platform that combines the world’s best online stores and brands in one place to facilitate the shopping experience. 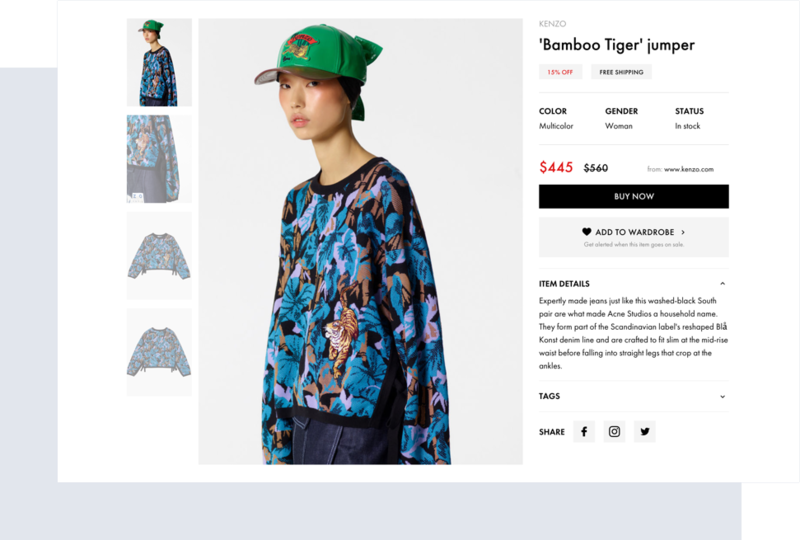 This fashion platform features more than 800,000 luxury items from all over the world. 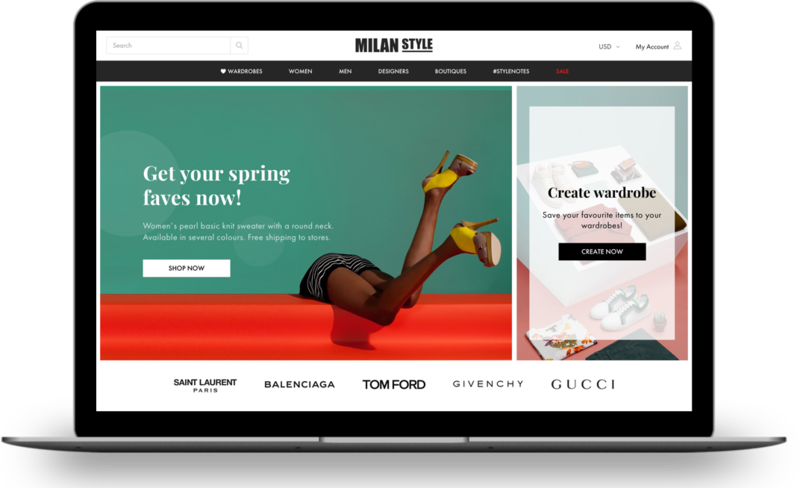 Personal wardrobes, convenient filtering, product lists, and instant updates to product information make MilanStyle a leading ecommerce platform. MilanStyle is an online fashion marketplace founded by Jonathan Edwards. Jonathan asked RubyGarage to add new design features to the existing marketplace, but we encountered some obstacles with the site’s user experience. The challenge for our team was to create an intuitive online shopping experience and re-engage with customers. In addition, our team saw the need to migrate from the Heroku cloud platform to AWS to increase scalability and reduce hosting costs. Jonathan was looking for a reliable partner to review the current state of the platform and improve the shopping experience. 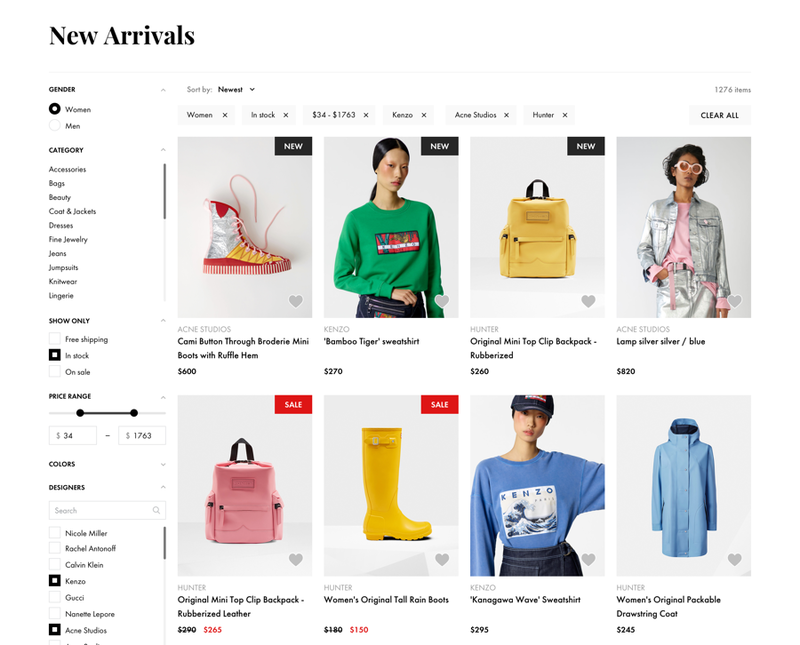 The redesigned homepage now features the latest offers, highlights new collections, and presents new features such as Wardrobes. This section follows the main screen and showcases some of the new products and popular wardrobes of MilanStyle community. 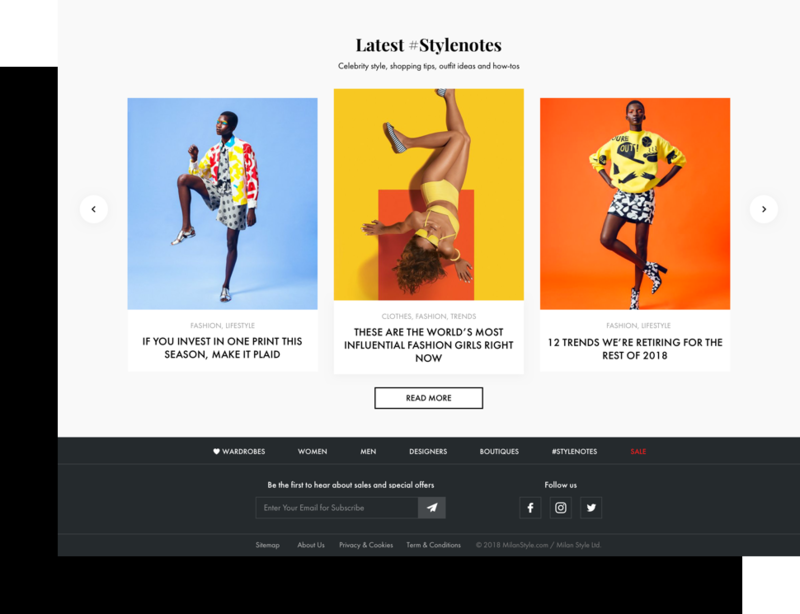 Here users can conveniently explore style and shopping tips, exclusive sales and news, and best outfit ideas to be up-to-date with world fashion trends. 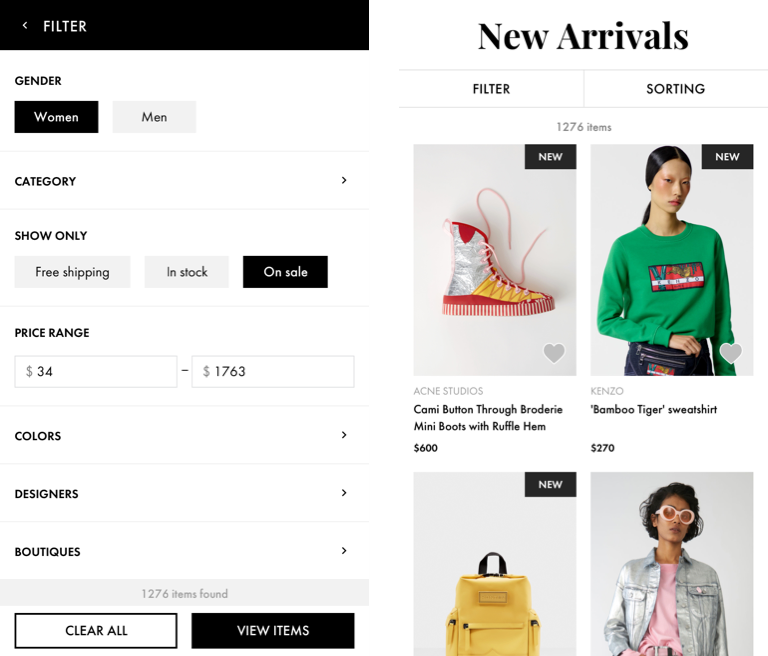 Improved search functionality, intuitive product filtering, and simple product cards now make the search process easier than ever before. This section features high visual appeal and detailed product description making it easy for a customer to perceive the information. 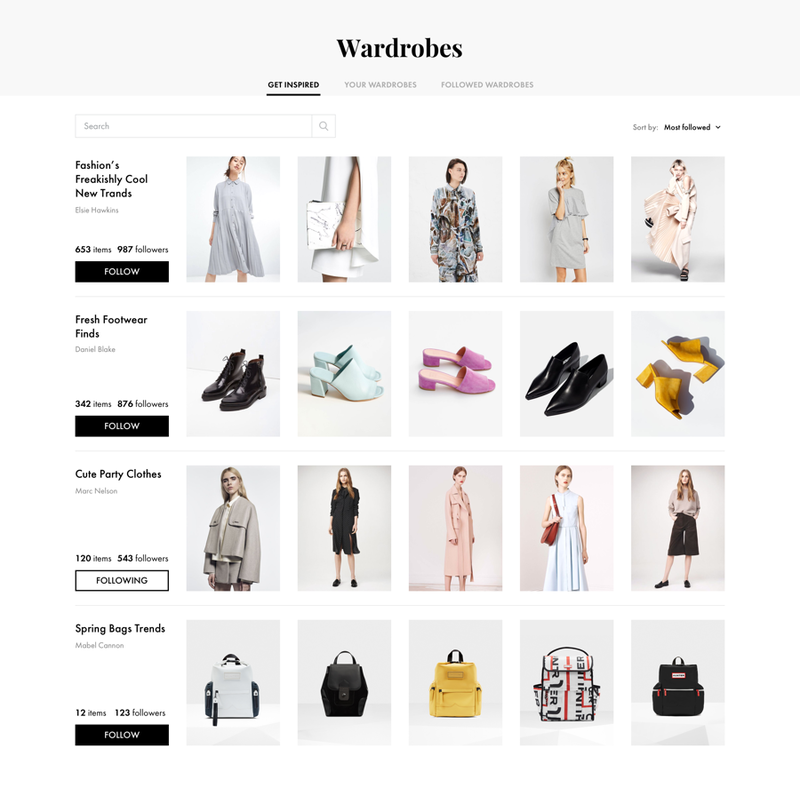 Wardrobes is a social element that let customers explore clothes collections and get inspired by other popular wardrobes easily. It helped MilanStyle build its own fashion community and increase customer engagement. 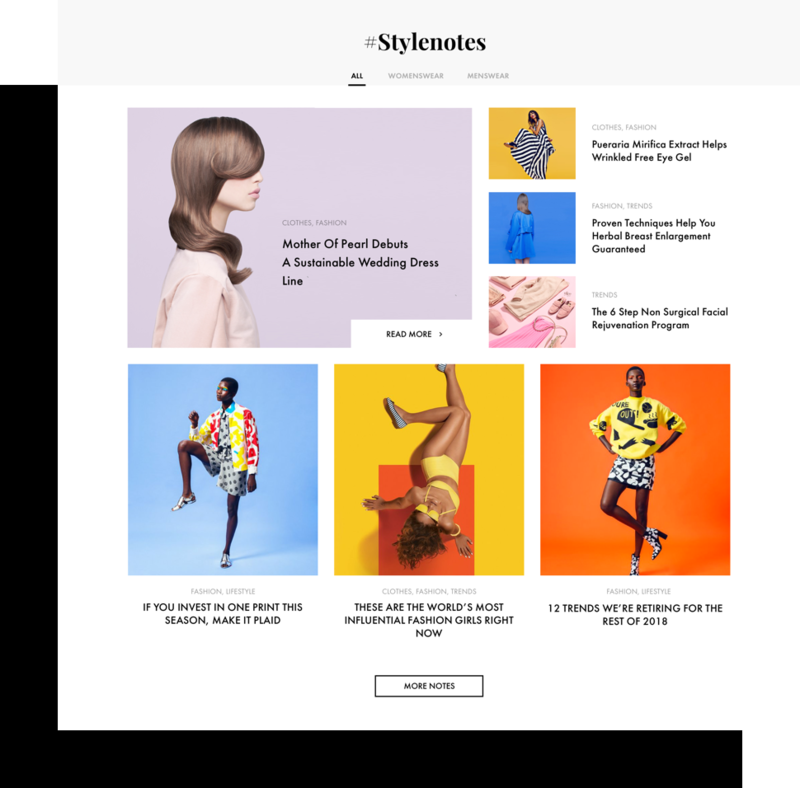 Stylenotes section was redesigned to engage customers and provide them with a personal guide on the latest trends in the fashion world. First, the RubyGarage team completed a thorough UX design review to identify what wasn’t working properly. We conducted market research and competitor analysis and analyzed available analytics to figure out what features were lacking so we could improve the quality of existing solutions in the project. 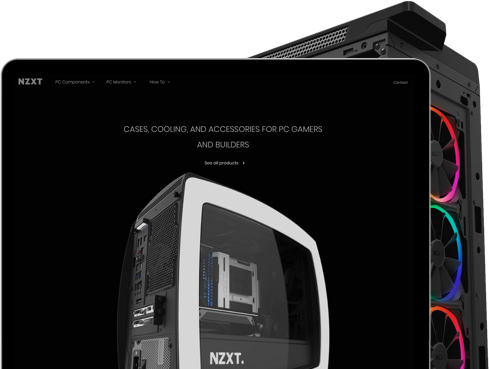 We redesigned existing components and created a completely new feature called Wardrobes. 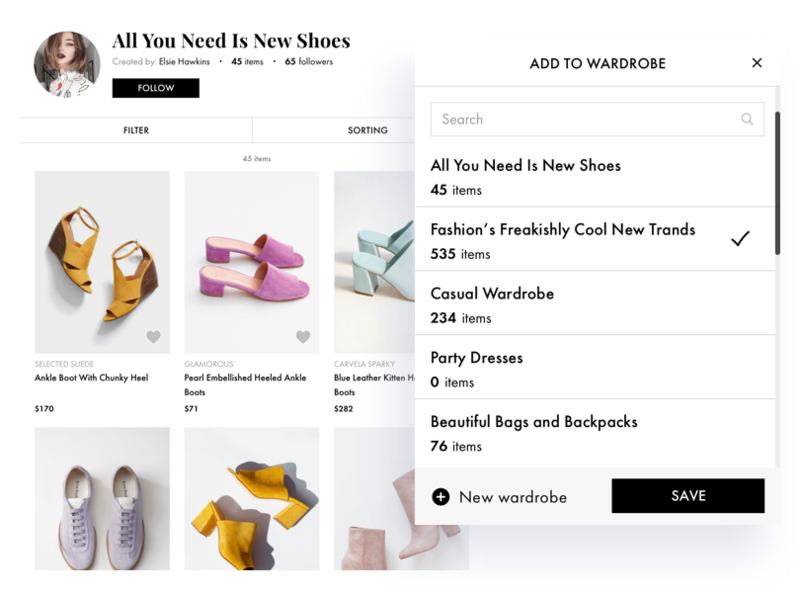 Wardrobes allow users to create and share their collections with the MilanStyle community and get inspired by other people’s wardrobes. In addition, our developers successfully migrated the platform from Heroku to AWS. This move allowed our client to save money, increase development speed, and scale up to 800,000 products. A thorough UX audit allowed us to enhance the existing platform and come up with fresh design ideas to make MilanStyle stand out on the market and be the leader in its niche. Big thanks to my software engineering crew in Ukraine – developers, engineers, database specialists, designers, QAs – all of whom have been working hard with me over the last nine months on the new and re-powered MILANSTYLE.com. Something like 800,000 products from the world’s best luxury stores in one place... Wow. A few further things we plan to do, tweak and enhance, but ecommerce and large database-driven websites are always a work in progress. Team work makes the dream work. Need an expert review of your product’s usability?